When you or someone you love is injured, the experienced Massachusetts injury lawyers at Bellotti Law Group, P.C., serve as the trusted advisers and assertive advocates that you need on your side. We draw on our decades of legal experience to create insightful trial strategies designed to help you obtain the compensation you need to pay for your medical expenses, lost wages, ongoing care needs and all other expenses that will help you return to a normal life. We utilize a prove approach to injury cases that has generated successful results for thousands of clients throughout the Boston area. We will focus on the legal and financial details of your situation, while you and your family focus on recovering and moving forward with your lives. Thoroughly assess your matter so that we can offer you personalized advice. Ask about you and your injuries, your medical history and any treatment you may have received. Walk you step by step through all of your options. Stand up to opposing counsel and large insurance companies, so that they know you have someone protecting your best interests. Work tirelessly to help you maximize the compensation you receive. Always put your needs first and remain accessible at all stages of your case. Motor vehicle accidents: We help clients who have been injured in car collisions, motorcycle crashes and truck accidents. We also assist injured bicyclists and pedestrians. Public transit accidents: If you were injured in a bus accident or in a train accident, your time to bring a claim may be limited. Speak with an attorney as soon as possible. Medical malpractice claims: Our attorneys are skilled at holding medical professionals accountable for acts of malpractice and negligence. Nursing home abuse and neglect: If your loved one has been injured as a result of negligence or abuse in a nursing facility, we can help you bring a claim. Premises liability: Property owners can be held accountable for injuries on their property, including slip-and-falls and injuries caused by inadequate security. Dog bites: A serious dog attack can leave significant scarring and other injuries. We can help you through the process of bringing a claim against the owner. Defective products: If a product you purchased is defective or poorly designed, you may be able to seek compensation from the manufacturer or designer. Construction defects: Our attorneys represent clients who have been injured by collapsing roofs, porches, decks and balconies. Swimming pool accidents: Swimming pools can be a serious danger, especially to young children. If you or your child was injured, we can help you protect your rights and bring a personal injury claim. Fatal accidents: If you lost a loved one in an accident, our lawyers can guide you through the process of bringing a wrongful death claim. Even if you do not see your type of injury or case in the list above, please contact our Boston personal injury lawyers with any questions you may have about your serious injury and potential personal injury case. 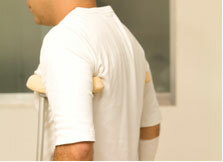 We handle all types of accident and injury claims. Be aware that there are statutes of limitation that can forever bar you from bringing a claim if you do not do so within the appropriate timeframe. Contact Bellotti Law Group, P.C., today for a free consultation. Call 617-225-2100 or contact us online. Massachusetts Wrong-Way Crash Kills Five People Tragedy struck earlier this week, when a Massachusetts' woman drove the wrong way on Interstate 495 in Middleborough, killing four college students.